Want to be notified by e-mail of updates? Then click here to sign up for the Inno Setup update notification mailing list. 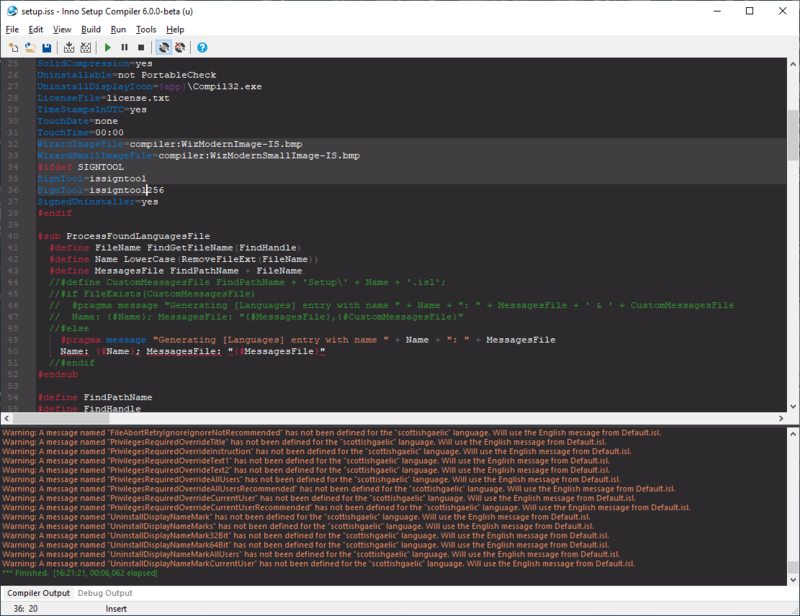 5.5: First version used by Microsoft Visual Studio Code and Embarcardero Delphi. 867,977 2018-06-14 Inno Setup self-installing package. 153,260 2018-06-14 Unicode Inno Setup self-installing package. Remember to check the Inno Setup FAQ for solutions to common problems. Also see the Third-Party Files page for some useful tools, and translations of Setup into other languages. The Inno Setup QuickStart Pack includes Inno Setup itself and additionally includes an option to install the Inno Script Studio script editor. This script editor is not official and is not required for general usage, but makes Inno Setup easier to use. See the Third-Party Files page for more information. The Inno Setup QuickStart Pack also includes an option to download and install official encryption support. 97,549 2018-06-14 Inno Setup QuickStart Pack self-installing package. 83,764 2018-06-14 Unicode Inno Setup QuickStart Pack self-installing package. For legal reasons, encryption code is not built into Inno Setup. You must download a separate "encryption module" if you wish to utilize Inno Setup's encryption capabilities (that is, the Encryption [Setup] section directive). Note: The above QuickStart Pack can download and install it for you. ISCrypt.dll Netherlands 1,108,496 2.5 KB Encryption module for Inno Setup. To install, simply place the file in your Inno Setup directory. ISCrypt.zip Netherlands 323,910 2 KB Source code for the encryption module (Visual C++ 2003). A beta release of Inno Setup 6 is available and introduces a large number of changes. You are welcome to discuss its features on the forum. Improved support for administrative vs. non administrative install mode. Improved support for side-by-side installations without the odd side effects you would get in previous versions. Optional support for a resizable wizard window. 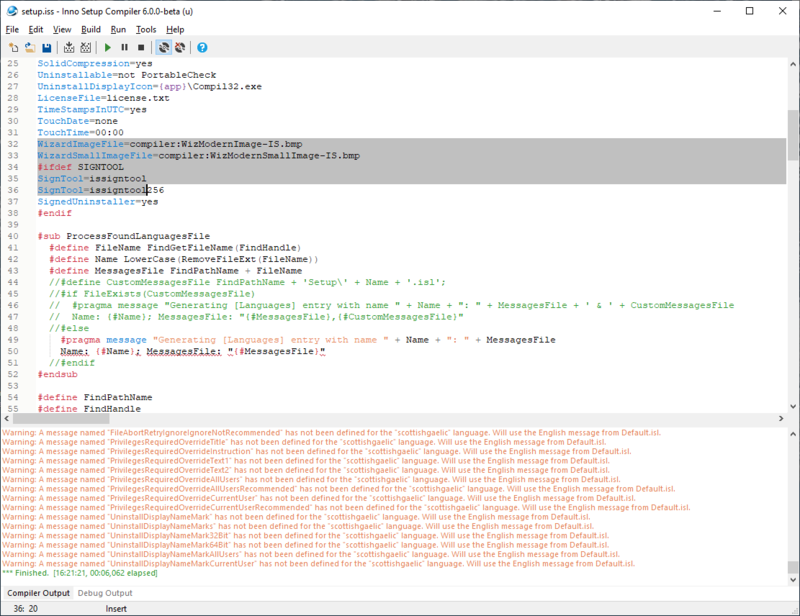 Other changes for a more modern look to Setup, Uninstall, and the Compiler IDE. Event attributes, making it possible to have multiple implementations of the same event function in your script. Support for 64-bit mode on Windows 10 on ARM. 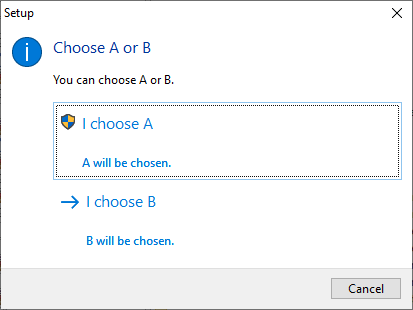 Task dialog support for the [Code] section. Many more improvements and new features. For the complete list of what's new/changed, see: What's new in this beta version? Change in default behavior: Starting with Inno Setup 6 there's only one version available: Unicode Inno Setup. Unicode Inno Setup has been available for 9 years but in case you have not yet updated to it: please see the Unicode Inno Setup topic in the help file for more information. Basically, unless you're using [Code] to make DLL calls with string parameters you shouldn't have to make any changes to your script. Beta releases are not recommended for production use. 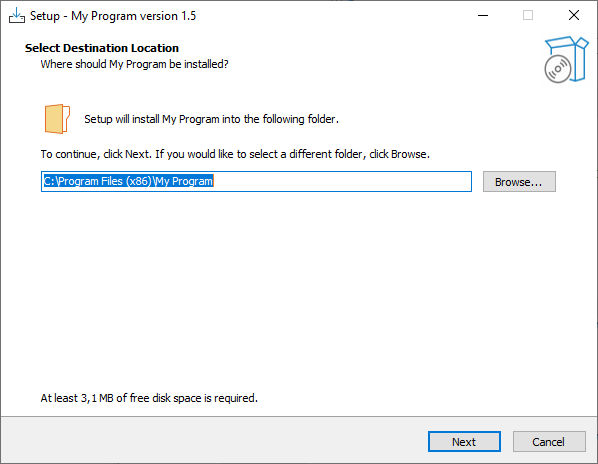 14,202 2019-03-07 Inno Setup self-installing package. 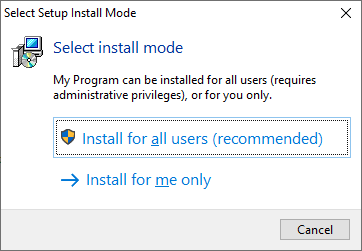 10,897 2019-03-07 Inno Setup QuickStart Pack self-installing package. You can get the Inno Setup source code via GitHub. Latest sources obtained via GitHub may contain fixes or new features not found in the latest released version of Inno Setup. However, those fixes and new features may not have yet been fully tested. To contribute to Inno Setup, see CONTRIBUTING.md on GitHub for more info. For more Inno Setup-related downloads, see Third-Party Files.